STATEN ISLAND, New York (WABC) -- The so-called urban cowboy is giving up his horses. Tod (Doc) Mishler, 80, on Monday pleaded guilty to disorderly conduct, nine months after he rode across the Outerbridge Crossing on horseback, with a second horse in tow. 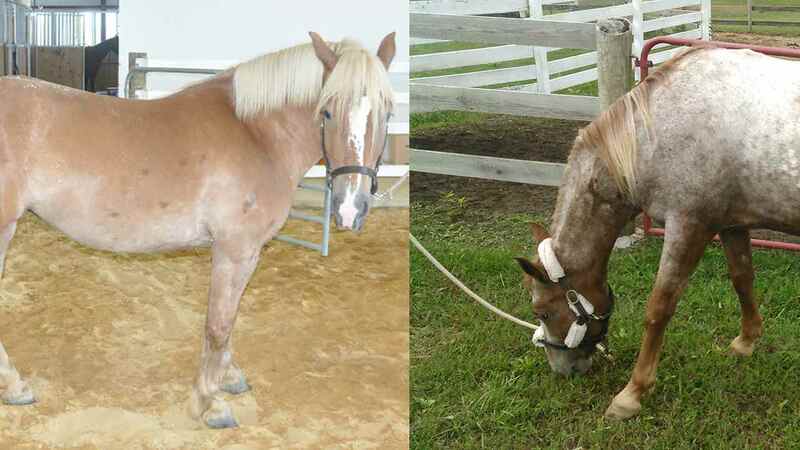 In June, he allowed the New York City Police Department to have his horses evaluated by city veterinarians. But authorities said the animals were dehydrated, had bleeding sores caused by the saddle and had not been regularly examined by a veterinarian. The findings ultimately led to his arrest on charges of animal cruelty. "My client wants to say, 'happy trails' to New York," Richard Luthmann, Mishler's lawyer, told Criminal Court Judge Raymond L. Rodriguez on Monday. Per the plea, Mishler received a one-year conditional discharge and forfeited his rights to the horses. He also is barred from possessing any horses in New York state for two years. Mishler rode to Staten Island in June, saying he was heading across the country to bring attention to childhood hunger.